Lincoln North Fire Station is now open for snoozing! 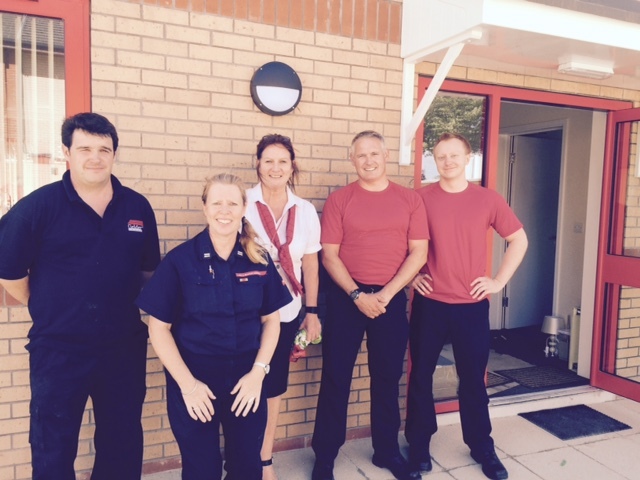 Craig Elston (Site Manager) has successfully handed-over his first solo project to Lincoln’s North Fire and Rescue Team. Craig was responsible for building a new accommodation block for the existing Fire Station. The new build has been kept in keeping with the existing Fire Station and provides an additional six rooms for firefighters, and a communal area with kitchen/lounge and sunroom. The project was ideal for Craig and Paul Massam (Contracts Manager). Both were commended by our auditor and management for a well managed and organised site. Well done Craig!